Alexey Shved of Khimki Moscow Region proved to be the player with the highest performance index rating on a winning team in Round 9 the Turkish Airlines EuroLeague Regular Season, earning him the MVP of the Round honor for the second time in 48 hours. Shved led Khimki to a 83-84 road win against Zalgiris Kaunas with a PIR of 32. He finished the game with 25 points on 5-for-8 two-point, 3-for-10 three-point and 6-for-7 free-throw shooting. He added 10 assists, 4 steals – matching his career high – 2 rebounds, 1 block and 7 fouls drawn. Having also won the award in Round 8, Shved is the first player to earn back-to-back MVP of the Round honors this season. 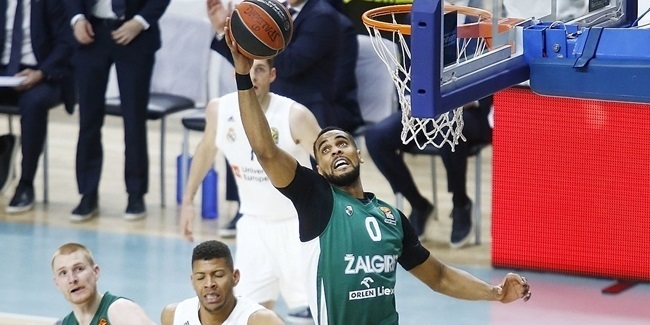 Brandon Davies of Zalgiris had the highest PIR in Round 9 but could not lead his team to victory. Davies had 23 points, 13 rebounds, 3 assists and 12 fouls drawn against Khimki for a PIR of 39 in a losing effort. Keith Langford of Panathinaikos OPAP Athens had a PIR of 35, but his team lost at KIROLBET Baskonia Vitoria-Gasteiz. Langford finished the game with 33 points, 3 rebounds and 9 fouls drawn in Panathinaikos's 86-77 road loss. Maodo Lo of FC Bayern Munich (28) and Nando De Colo of CSKA Moscow (27) complete the top individual performances in Regular Season Round 9. Langford was this round's top scorer with 33 points, the second-best mark in the competition this season. Shved had 34 against Olympiacos Piraeus on October 12 and ranks first through 10 games with his 25.3-point average. 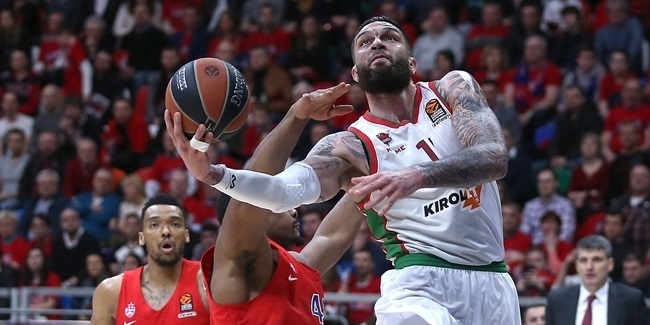 Davies led all Round 9 rebounders with 13 boards against Khimki. Nikola Milutinov of Olympiacos is the overall leader with 7.3 rebounds per night. Facu Campazzo dished 13 assists against Olympiacos, tying Real Madrid's club record. 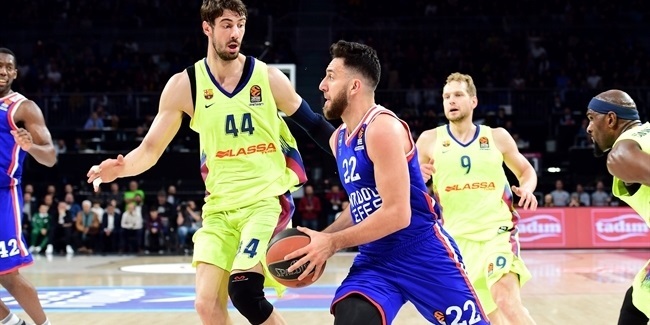 It is also the second-best assists mark in the competition this season after Nick Calathes of Panathinaikos dished 14 against Maccabi FOX Tel Aviv on October 11 and also is this season's overall leader (8.2 apg.). Shved and Mike James of AX Armani Exchange Olimpia Milan each collected 4 steals in this round. Stefan Jovic of Bayern leads the steals board at 2 per night. Edy Tavares of Madrid had 4 blocks against Olympiacos in Round 9 and is also first overall this season (2.4 bpg.). Davies, Campazzo, James, Shved, Adrien Moerman of Anadolu Efes Istanbul and Devin Booker of Bayern each registered double-doubles in this round.